Featuring a bunch of great comics creators! Chip Zdarsky, author of PRISON FUNNIES, MONSTER COPS, and without whose valuable assistance, COMICS FESTIVAL! 2007 would not have been possible. 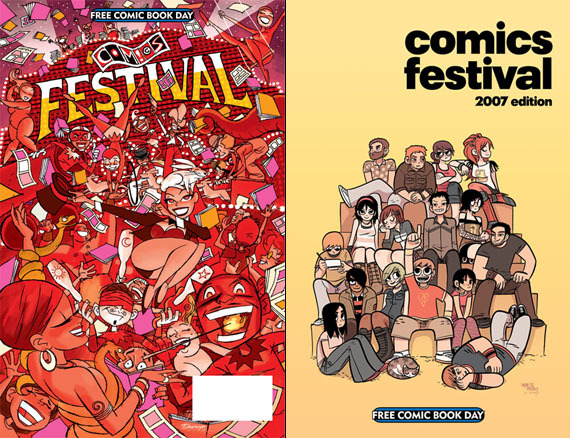 In addition, we’ll be giving away copies of COMICS FESTIVAL 2007, a brand new comic that features new comic strips from pretty-much everyone attending our Free Comic Book Day event, as well as new material from Darwyn Cooke, Hope Larson, Bryan Lee O’Malley, and many more creators! For more on Comics Festival, check out http://comics212.net/2007/03/06/comics-festival-2007-final-line-up/. The Merril Collection (Lillian H. Smith Library, 239 College St.
Bryan Talbot is coming to Toronto! The creator of One Bad Rat, Luther Arkwright, and the artist of The Sandman Special #1: The Song of Orpheus is touring North America in support of his massive new graphic novel, Alice In Sunderland. Talbot will be doing a presentation from the work, and will be interviewed on stage by Mark Askwith from the SPACE channel. We’re very excited to see such an esteemed creator visiting us all the way from the U.K., so save the date and make sure to come out for this rare appearance. 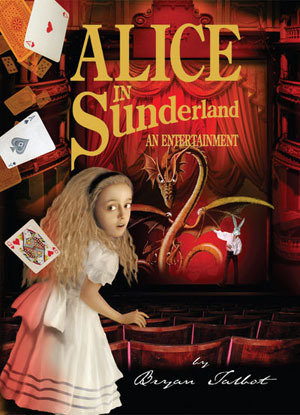 Both The Tale of One Bad Rat and the brand-new Alice In Sunderland are available for sale at The Beguiling now! Hey there. Our friends at Magic Pony art hosting an art show featuring He-Man and She-Ra, but ironic, sort of? It’s a benefit for Sick Kids Hospital, which is cool. We’re selling tickets for $5, which is a deal, because they’re 10 bucks at the door. It’s all for a really good cause, so if you like the art and the She-Ra hopefully we’ll see you there. And a quick plug for Gary Taxali’s art show at Magic Pony this Thursday March 22nd. It’s called “Save The Boreal” and it’s a benefit for Greenpeace. Check it out at http://www.magic-pony.com/gallery/greenpeace.php. That’s a mighty nice poster he’s got there, eh? Hi folks. 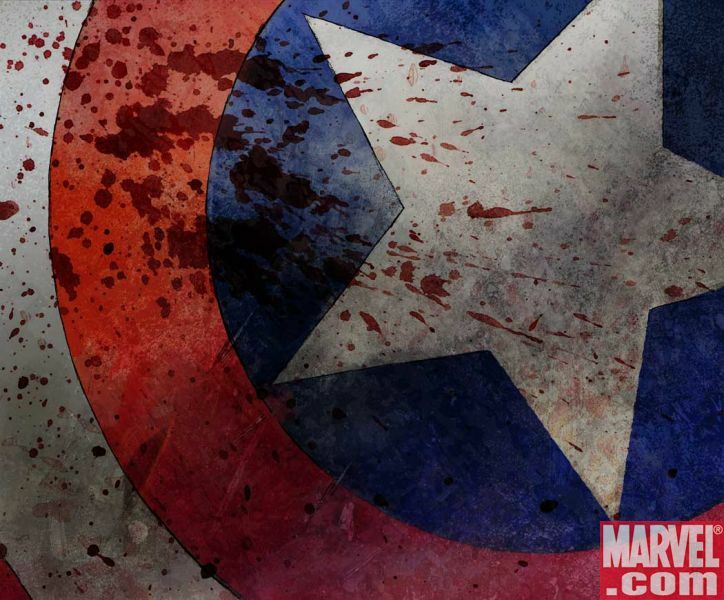 As you might be aware, Captain America #25 (released Wednesday May 07th) was kind of a big deal. We tried our best to keep copies in stock for as long as possible, and even had some until about 6pm on Thursday, long after most shops had sold out. But, we’re out right now. According to Marvel, the reorder that we placed for more copies of #1, first printing, will be arriving on March 21st. We might have as few as 25 copies more, or as many as another hundred or so. What we’re saying is, essentially, don’t bother with eBay, because there will be more copies in the market soon (and probably a second printing before the end of the month as well) even if they aren’t from us. We try very hard to make sure that everyone gets a fair crack at books like these (which explains our limit of 2, and then 1, per customer) and will be doing so if and when we get more copies in, on a first-come, first-served basis. So yeah, don’t bother e-mailing or calling or asking us to hold one for you. We’ll post here as soon as we have an idea of how many more copies are coming and when, and we’ll continue to provide them to you as fairly as possible. Thanks very much for your understanding, and your patience. 300 – You know we have that, right? It looks like, as was the case with SIN CITY and HELLBOY before it, Dark Horse Comics may or may not have copies of 300 by Frank Miller and Lynn Varley available when the movie debuts next month. What this means is that many stores will not have copies of the 300 HC in stock for the next month or so, or when the movie arrives. 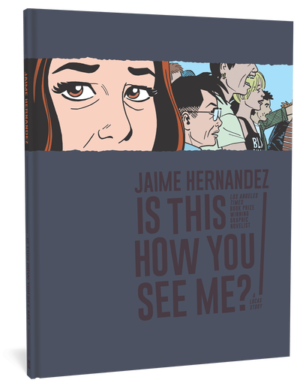 And if you’re excited about or even interested in this film, you’re REALLY gonna wanna read the graphic novel first. Luckily, we have that. 300 I mean. We have that. We have that now, we will have that for the next few months, and we can even sell you two or three if you and your friends ALL want a copy. We saw this coming and stocked up. I’m not saying we’re smarter or anything, I’m just saying, 300? We have that. P.S. : No, there is not a softcover, and no, there is not likely to be a softcover due to the unique shape and size of the book. Stranger things HAVE happened but I’m betting against it for the time being. P.P.S. : We also have The Art of 300 in stock, as well as more-or-less every Frank Miller graphic novel in print (and a few that aren’t). This week saw the arrival of a few more cool new books, and we thought we’d share the news with you. First up is les Enfants d’ailleurs, by Bannister and Nykko. A new French language children’s graphic album, it features art by FLIGHT contributor Bannister and is quite pretty, if you like the animation/illustration-style stuff. The book is also appropriate for younger readers, and features a much more approachable vocabulary than most graphic albums if you happen to be looking to brush up on your francais. Second floor. Secondly, we have RAGNI. The debut 5-song EP from Canadian songsters Ragni features a brand new 21 page graphic novella from Canadian illustrator Karl Kerschl, famous for his work on SUPERMAN and X-MEN. 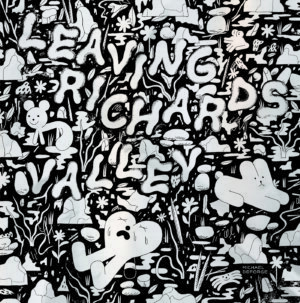 It’s actually a really nice, wordless black and white story and the music is good too. Sort of a late-period ambient Radiohead kind of thing? At any rate, it’s a pretty excellent (and unique!) addition to any comics library. $15.00, second floor. Finally, we have a book that isn’t new this week but IS sort of a wonderful rarity that we should’ve mentioned a little while back. Canadian painter Ryan Heshka released a fun little artbook called ABC Spook Show, a 60 page collection of paintings that have the cute/goth look totally wrapped up. You can see more art at Heska’s website, http://www.ryanheshka.com. We’ve got plenty in stock at $22.95, available on the main floor. That’s it for this week! See you soon with more great books and events. We got two new books in this morning that you might be curious about. First is the new one by Charles Burns… What’s that, you say you didn’t know there was a new Charles Burns in the works? Well then, you apparently missed the news about One Eye, “a collection of paired photographs by Charles Burns that captures the strange undertones of a staggering range of objects and locales.” As the cover shows, it’s some pretty interesting stuff and if you’re a fan of Burns’ sequential narrative work, chances are you’re going to absolutely love his photography. Meanwhile, at the other end of the spectrum is a brand new work featuring the art of fan-favourite Terry Dodson. Known for his ‘good-girl’ art, the new French-language album Songes Tome 1: Coraline is considerably more risque than Dodson can get away with on projects like Wonder Woman. Fans of animation and illustration books already scooped up our first shipment of this one, and it’s unlikely that the copies we have will be around for long. Better make your way to the store post-haste. We hope to see a whole bunch of our customers and friends out at this event, as we think it’s gonna be a good one…! We’re happy to announce that artist Matt Forsythe has dropped off copies of issues one and two of OJINGOGO here at The Beguiling. These mini-comics collect his Eisner-nominated online comic, and are funny and beautifully drawn. Also? Wierd-as-hell, but in a great ‘these are comics that aliens make’ sort of a way. Actually, it reminds me a little bit of last year’s excellent A.L.I.E.E.E.N. by Lewis Trondheim in that way. Good stuff which will leave you wanting more, and Canadian too! Issue 1 is $5, and issue 2 is $6. Main floor, in front of the cash desk. P.S. You can check out Matt’s work at his website, http://comingupforair.net/.